Originally released for arcades in 1988, Chuka Taisen was quite unlike most other shoot ’em ups of its day. There were no fighter jets to pilot it aliens to shoot down; instead, it casts you as a young Monkey King (of Journey to the West fame) on a quest to get stronger by fighting various mythical beings, set against a series of beautiful, painterly backdrops. It was ported to a handful of other consoles at the time, though technical limitations meant none of those could quite match the beauty of the arcade version. With the Switch release under the new title Monkey King: Master of the Clouds, a noteworthy—if underappreciated—piece of shoot ’em up history is, for the first time, readily available in arcade-perfect form. At a glance, Monkey King plays like any other shoot ’em up: you fly around, shooting down enemies and dodging their shots, as the screen automatically scrolls forward. Regular enemies aren’t especially threatening individually, but the waves and formations that they appear in create a hectic atmosphere that demands utmost attention. 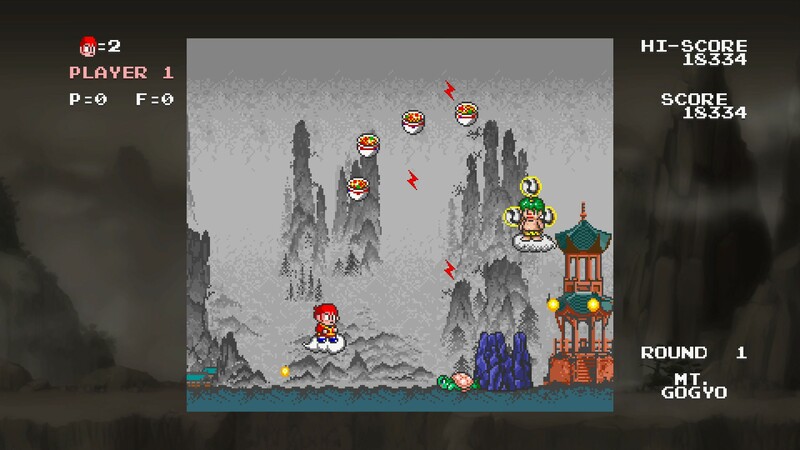 At the end of each level is a boss, sporting some unique set of powerful, difficult-to-dodge attacks and a hefty health bar. What sets it apart is its Journey to the West-inspired presentation. The game takes place in a fantasy China, with levels transporting you to places like the Great Wall, the Yellow River, and Mount Tai. They’re all beautifully realized, looking like pixel-art adaptations of classical Chinese and Japanese paintings. There aren’t any smoothing filters or anything of the sort, but frankly, they’re not needed. Pixel art ages very well; even playing for the first time in 2018, I was blown away by the sheer beauty of the Monkey King. I can only imagine how impressive it must have looked in ’88. The Journey to the West theme continues with the enemies you face: flying monks, harpy-like bi fang, and humanoid animals (a common feature in Journey), as well as quirkier foes like dumplings and bowls of ramen. 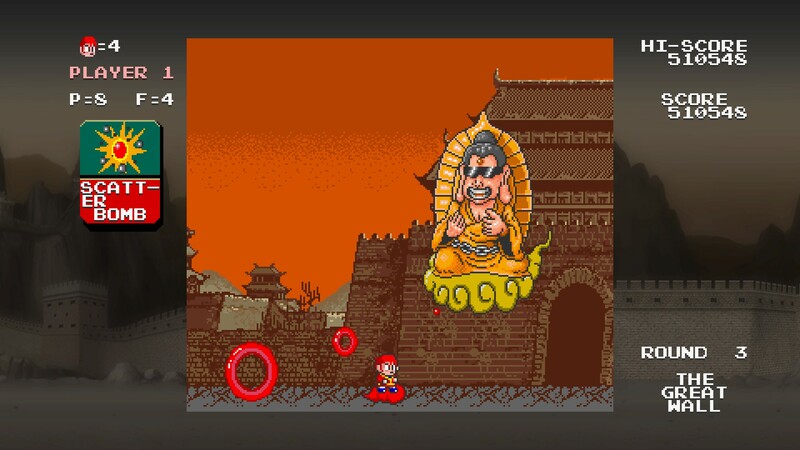 Boss fights pit you against the likes of the phoenix-like Fenghuang, the Jade Emperor, and the dragon king Ao Guang. And, of course, there’s the Monkey King himself, flying on his cloud and wielding his famous Ruyi Jingu Bang staff—which now, conveniently, fires bullets. These days, shoot ’em ups come in all sorts of themes, from Touhou Project’s shrine maidens to the surreal comic stylings of Neko Navy. But in the’ 80s, it was very unusual to see anything other than a spaceship fighting aliens. Even games like TwinBee and Fantasy Zone,with their bright colours and cute presentation, still fundamentally drew from the same well. The original Chuka Taisen was a huge departure from that. As far as I can tell, it was also the first flight-based shoot ’em up to let you control a humanoid character rather than some sort of aircraft. With that comes the unique challenge of having a much larger hitbox to deal with. The space ships typical of the genre tend to be sleek and streamlined, giving you a lower profile to help you weave through enemy shots. It brought an interesting new dimension and element of difficulty—and, sometimes, of frustration—to classic the classic shoot ’em up formula. But despite how noteworthy it was in so many ways Chuka Taisen doesn’t seem to be all that well remembered (outside Japan, at least). When people talk about the golden age of shoot ’em ups, the names Galaga, R-Type, Gradius, and Xevious always come up—and rightly so—but Chuka Taisen ought to be as fondly remembered. That’s where Monkey King: Master of the Clouds comes in. As an arcade-perfect port on what’s quickly becoming one of the most popular games consoles of the day, it’s a great way to preserve a piece of gaming history while introducing it to a whole new generation. 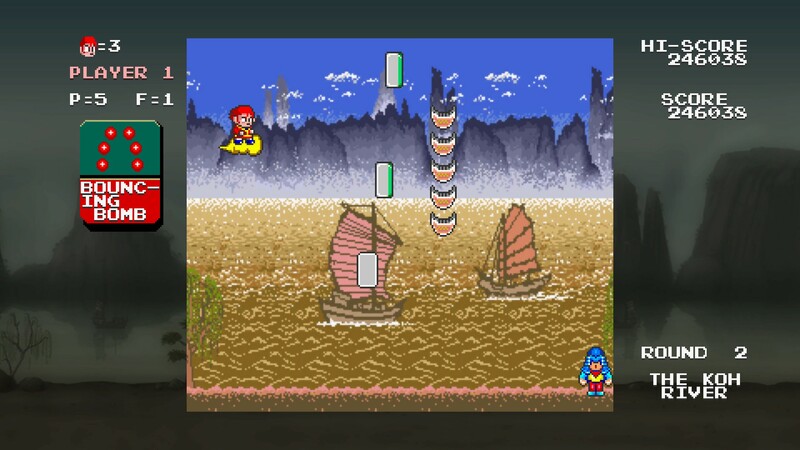 It sticks with the original arcade graphics and 4:3 aspect ratio, but the extra screen real-estate is used for displaying your score and lives, removing them from the game screen proper. There’s also a new English translation (not that there is a lot of text to translate), and the addition of online leaderboards will certainly help the longevity of the game. I have one bone to pick with the port, though, and that’s the absence of any sort of save state function. As you’d expect of an arcade shoot ’em up from the ’80s, Chuka Taisen is very difficult and unforgiving; the slightest mistake will send you back to the last checkpoint, and beating the game requires patience, practice, and the utmost focus. 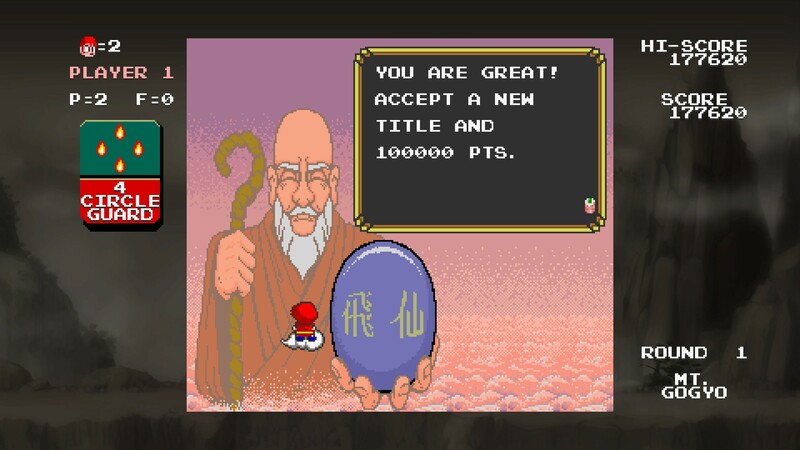 Without any such feature, Monkey King: Master of the Clouds is far more difficult, and at times infuriating, than it ought to be. At most, you can have nine lives, and dying sends you back to either the start of the stage or the single mid-level checkpoint. If you run out of lives and choose to continue, you have to start the level you’re on again from scratch. There is a save system that lets you start a new game from the beginning of any level you’d previously reached, which is welcome, but it’s not really enough. 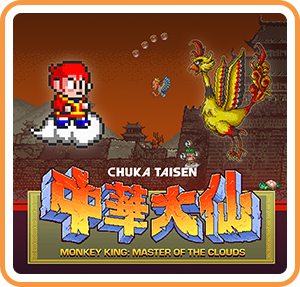 That frustration aside, Monkey King: Master of the Clouds is a wonderful addition to the Switch’s growing range of classic arcade games. 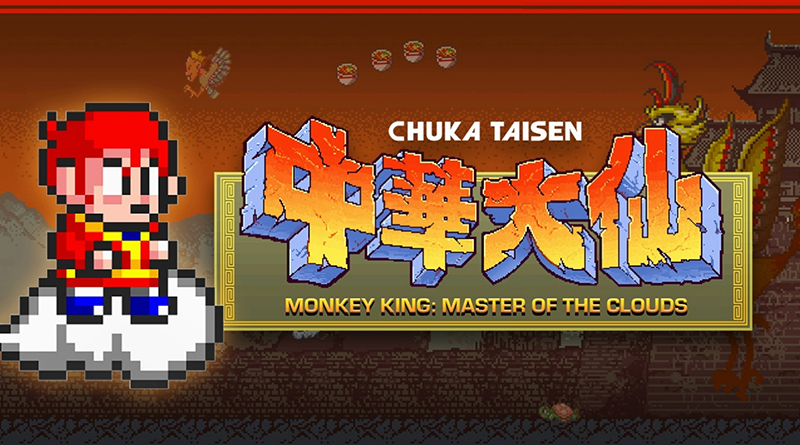 Chuka Taisen is a game that many people would never have heard of, but it’s an important piece of video game history, and a lot of fun to boot. With Monkey King: Master of the Clouds, perhaps it’ll finally get the recognition it deserves.